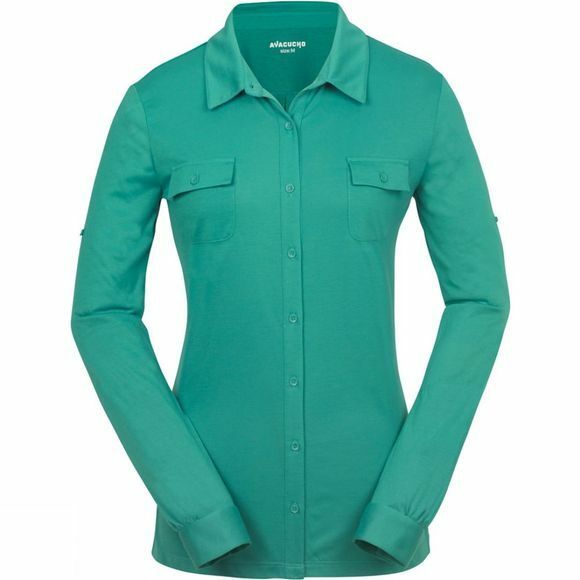 The Women's Long Sleeve Shirt from Ayacucho is a super soft, stretch jersey, quick drying shirt that is ideal for travel adventures. It has the versatility of being able to be worn alone or as an over shirt in cooler climates and the two front pockets are ideal for storing small essentials whilst on the go. 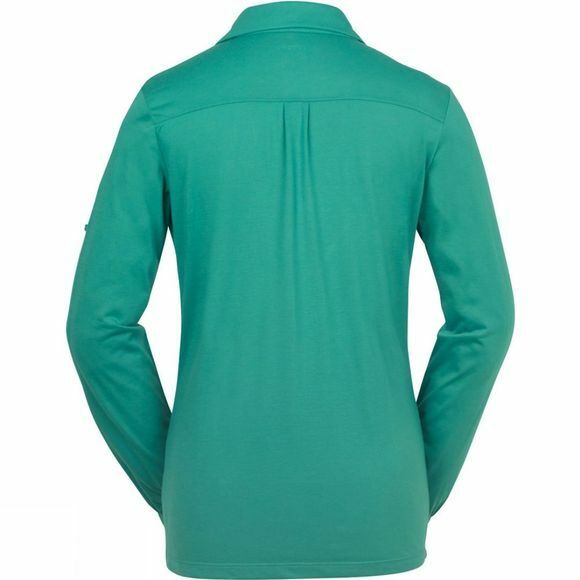 The sleeves can be rolled up and secured with a tab for style as well as comfort and the long length body is great for extra coverage during activities.